Deputy District Attorney Samantha Kincaid walks into her office in Portland's Drug and Vice Division one morning to find the sergeant of the police bureau's vice unit waiting for her. A 13-year-old girl has been brutally attacked and left for dead on the city's outskirts. 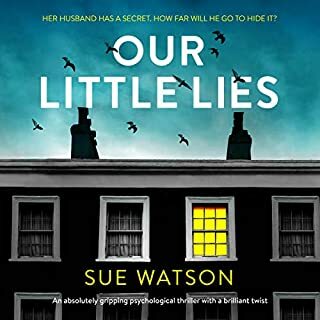 Given the lack of evidence, most lawyers would settle for an assault charge; Samantha, unnerved by the viciousness of the crime, decides to go for attempted murder. Magazine journalist McKenna Jordan is chasing the latest urban folktale - the story of an unidentified woman who heroically pulled a teenage boy from the subway tracks seconds before the arrival of an oncoming train. When McKenna locates a video snippet that purportedly captures the incident, she thinks she has an edge on the competition scrambling to identify the mystery heroine. McKenna is shocked to discover that the woman in the video bears a strong resemblance to Susan Hauptmann, a close friend - and a classmate of her husband's at West Point - who vanished without a trace 10 years earlier. The NYPD concluded that the nomadic Susan - forced by her father into an early military life, floundering as an adult for a fixed identity - simply started over again somewhere else. 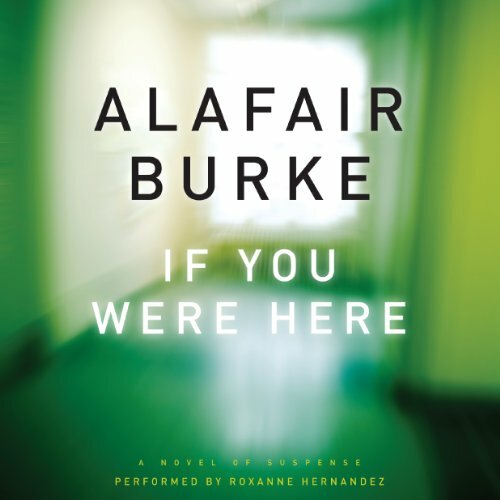 Alafair Burke is an excellent writer, but then again, she comes from a family of writers. Her father Jamie Burke is a famous mystery author. Alafair is currently a law professor in New York City and in her spare time she writes. This book does not belong to either of her series. In this book the heroine is a magazine journalist, who ten years prior, was an ADA with the DA office in NYC. In hunting for a story she see a video taken from a cell phone of a women jumping down on the subway track to rescue a teenage boy, she dead lifts him up on to the platform then runs away. McKenna Jordan (our hero) think she recognizes the woman as Susan Hauptmann a friend of hers that went missing ten years before. The plot is complex and twist here and there creating more and more suspense. McKenna keeps getting herself into more trouble. The story is told in the first person and we follow McKenna throughout the story. This book is showing off Alafair growing skills as a writer. Roxanne Hernandez does a good job narrating the story. If you are a fan of mystery stories, give the book a try, you will enjoy it. 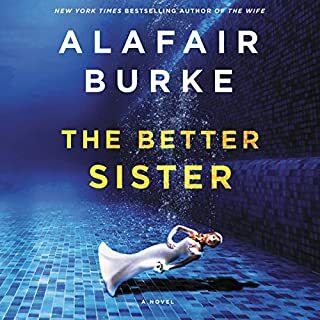 I've loved Alafair Burke's previous books -- really loved them, in fact, I said things like, 'She's much better than her father ever was' -- which is saying something. But this one? I couldn't get into it. 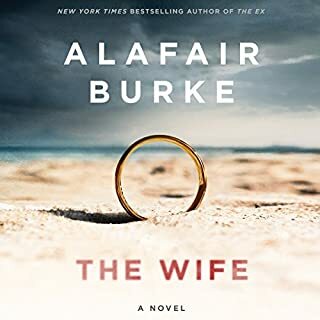 I listened to the first 3.5 hours, realized my mind had never really keyed in, but -- only because it was Alafair Burke! -- I decided it must be my fault, this was a book I was obviously going to love! So I went back and started again. It didn't help. It wasn't me. There's something unfocused about this story -- a lot of sound and fury, signifying not much of anything at all. Lots going on, but the plates just spin and spin. Where was the editor??? So much repetition -- I normally don't mind the 'three-quarters of the book review of facts', but in this book, she kept doing it over and over and over, all through the book. Maybe her mind was wondering, too. Part of it was the narrator. When she was just straight reading the text, she was fine -- no complaints. But when she was interpreting several of the characters, she insisted on giving them voices that might more properly have come out of zombies. Not just raspy, but really obnoxiously grating. I might not have felt so disinclined to trash those characters had they had themselves a better voice. I'm disappointed, but this was another stand-alone book. Maybe Miz Burke will get her groove back in one of the series books again. I'll give her another try, just because she's Alafair Burke. 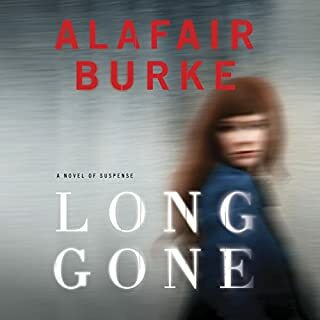 This is the first book by Alafair Burke that I've read and looked forward to it after reading favorable reviews on Amazon.com. Perhaps if I had read the book, this review would be more favorable. 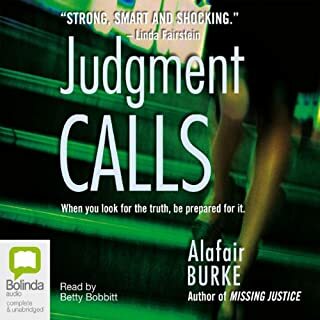 The narrator is absolutely horrible and ruined Ms. Burke's book for the listening audience. A woman the age of McKenna Wright, the main character, would not sound like someone fresh out of high school or college. Every female character sounded the same, as did each male character. I forced myself to listen to the end, even though the much anticipated "The Cuckoo's Calling" by J.K. Rowling alias Robert Galbraith was next in my queue (finished it today--a fabulous read). Where could the author improve most? Character development and fewer sub-plots. Will I try another of Alafair's books? Yes, but I'll read the Kindle version. What would have made If You Were Here better? The narrator was awful. The accents made no sense and changed all the time for the one character. The narrator's voice for Patrick made him sound like a sniveling fool that you won't imagine McKenna with. Susan had an on and off southern accent that made no sense. I couldn't wait to finish it. 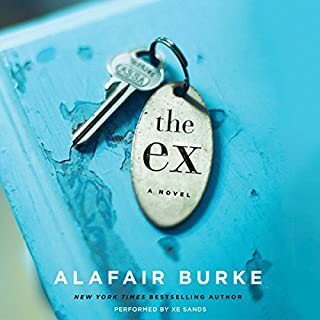 If you’ve listened to books by Alafair Burke before, how does this one compare? I LOVED the Ex and this one didn't come close. Not sure if the story was good or bad, but I will say it seemed to go in too many different directions and it took too long to tell important facts such as how McKenna was let go of the DA office. I am certain it was to make it more suspenseful but it just added more unnecessary details later in the story. In every way possible. I would start to get into the McKenna character and then she would have a conversation with Patrick and the voice made me cringe. What character would you cut from If You Were Here? I think the story was good but to long and to complex.